Notice any clusters of little black grasshoppers with a yellow stripe? Those are lubber grasshopper babies, Romalea guttata. They hatch out in the spring, first appearing in clusters, and often are seen around amaryllis or crinum plants. 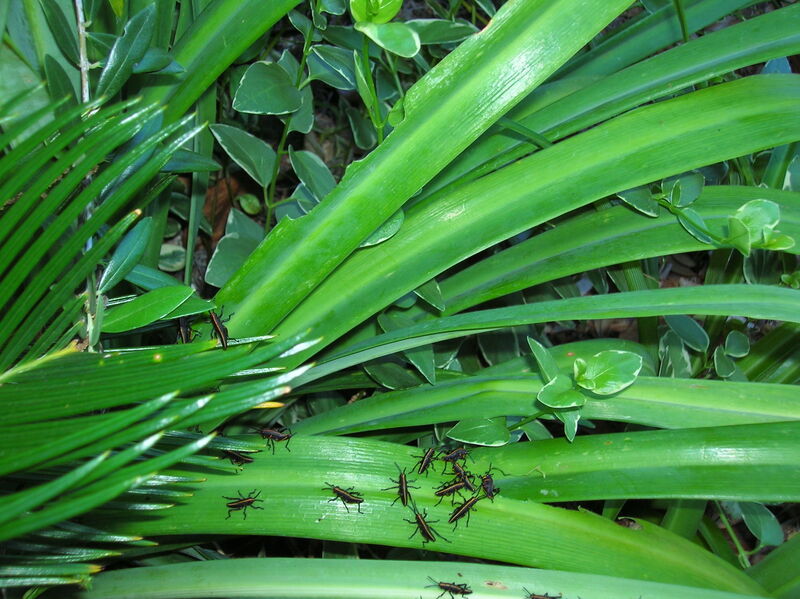 Lubber babies and adults will devour these and other plants if given the chance. 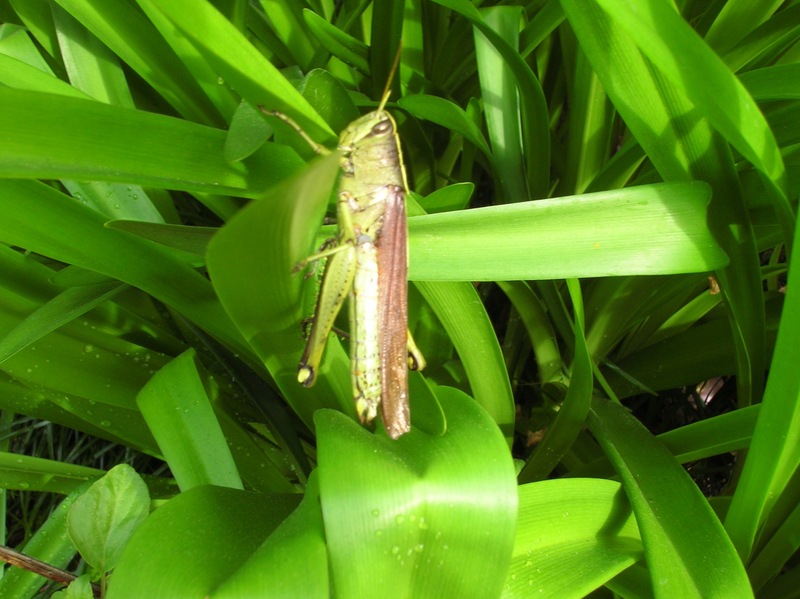 By summer the ‘hoppers will grow to become hefty three or four-inch long lubber adults (like the one pictured), with appetites to match. Now is the time to stomp these voracious pests before they grow and disperse—the best way to deal with these insects when they appear in clusters on the ground. Go ahead and do a “little grasshopper stomp dance.” For those discovered on foliage, gently push them into a jar filled about half way with water into which a teaspoon or so of liquid dish soap has been mixed. Happy hunting! 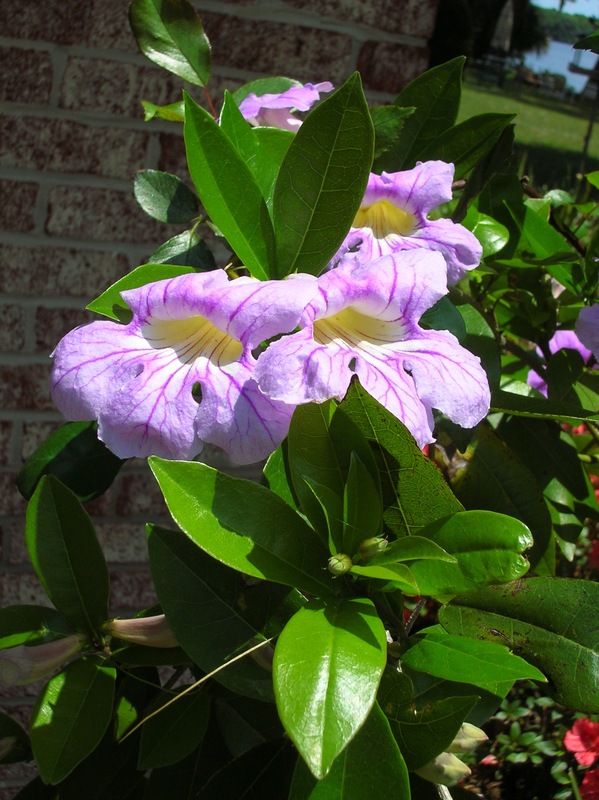 With a name to choke a horse, Clytostoma callistegioides, also called painted trumpet, is one wonderful vine for North Florida gardeners who want to add a touch of the tropics. It is also evergreen. Luscious colors, big blousy blooms and lots of them on a shrub with glossy green foliage—hibiscus has it all. 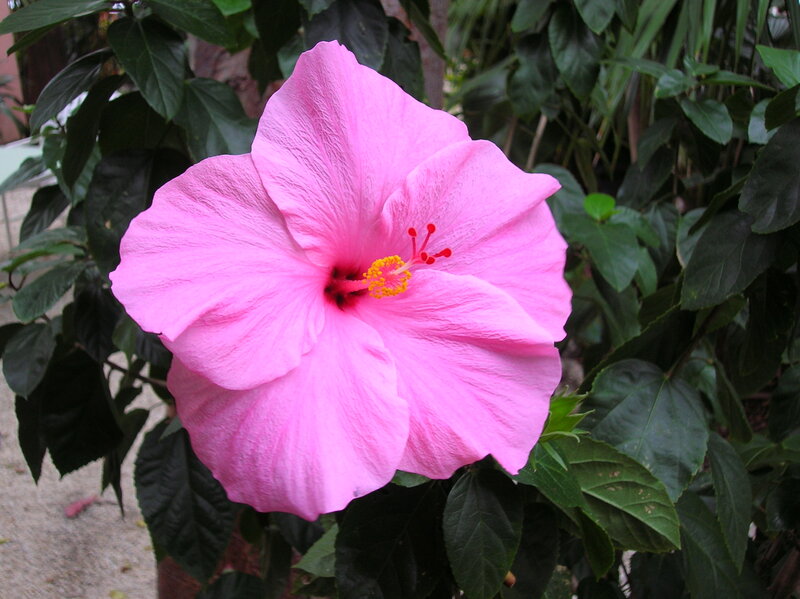 Hundreds of flower-color choices and even some plants with variegated foliage make hibiscus a great choice. • Select healthy small branches or hefty “twigs” for rooting. • The cutting should include that “warty” looking lump that grows where the twig grows from the trunk or limb. • Trim away all but a few leaves to allow the cutting to use its energy to produce roots, rather than keep up a lot of leaves. • Place cuttings in water in full sun. That’s right. Soldani says because hibiscus loves full sun, it is important that the cuttings not be “stressed” by placing them in shade or partial sun for the rooting process. 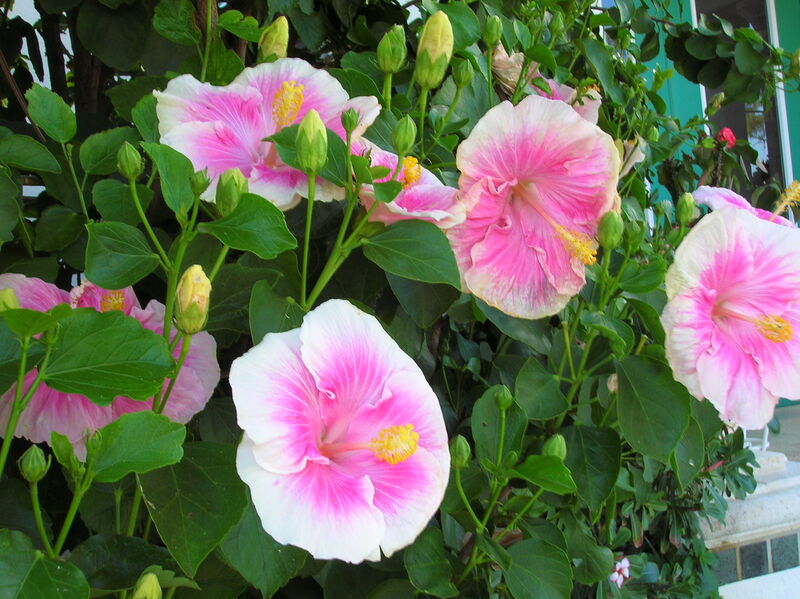 • Because hibiscus craves lots of nutrients, it would be a good idea to provide a weakened water-soluble fertilizer solution to the water in which cuttings are placed. • In a few weeks the twigs should start sending out roots, and then can be potted up. Because hibiscus prefers tight quarters in potted situations, use the smallest pots possible, and provide good drainage. • Once the little plants begin to put on leaves, it is time to begin a regular fertilization schedule. Water, sun and fertilizer, that’s what hibiscus wants all the time. Give it that, and you’ll both be happy. It’s springtime in Florida and there’s more popping up than just azalea blossoms. March is when you can expect to start seeing snakes moving from their winter quarters to warmer-weather haunts. Welcome these “slender fellows in the grass” to your yards and gardens. They will help get rid of all sorts of garden pests, and they really are your garden allies. Each spring snakes are on the move. Then again around October you’ll probably start seeing them move back to higher-drier locations for the winter. But most of the time these gardening pals keep to themselves and you probably won’t even notice them. 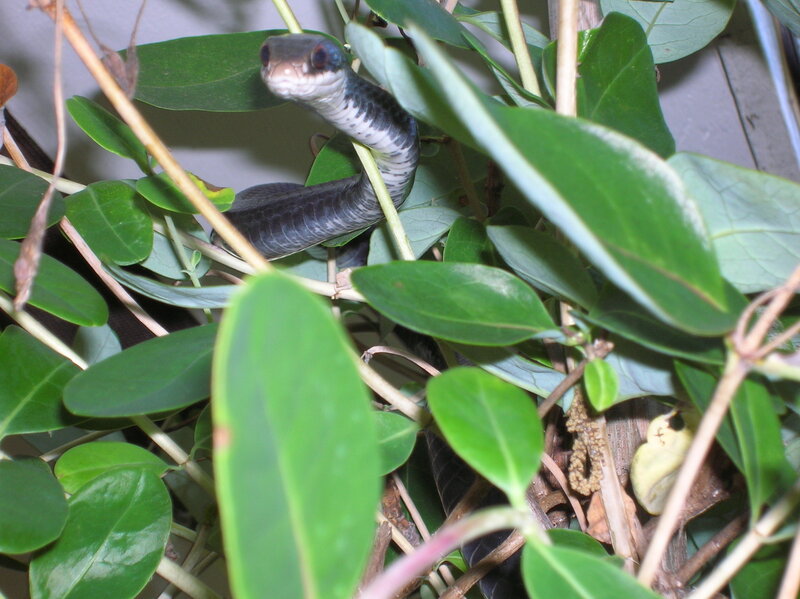 Garter snakes (above right), eastern black racers (below) and the charming pale green rough snake are the snakes most-often seen. 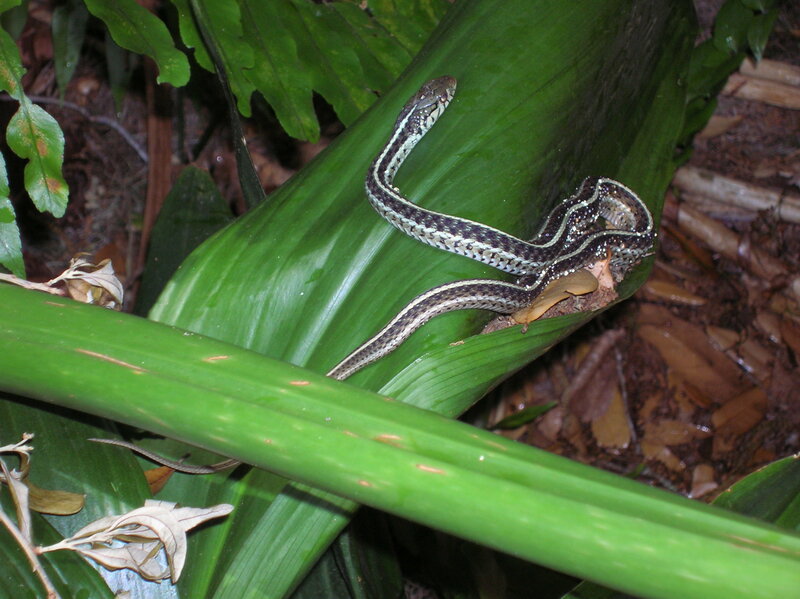 These harmless, helpful snakes far outnumber the poisonous ones. But to be sure you know what you are dealing with, consult a good reptile guide. When in doubt, give any snake you cannot recognize—plenty of room—advice that you are probably already following.